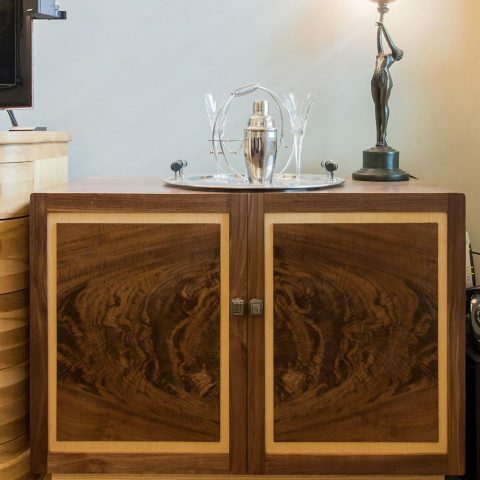 We make free-standing pieces, most often in an Art-Deco style, from solid timbers. 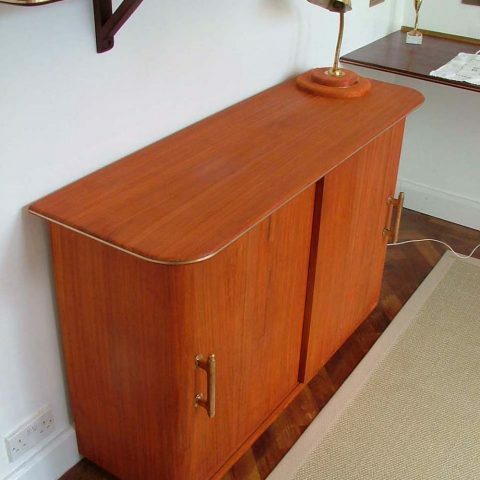 This piece is made from solid padouk, with sliding doors, and is trimmed with a brass edging around the top, with brass handles, and a brass plinth. 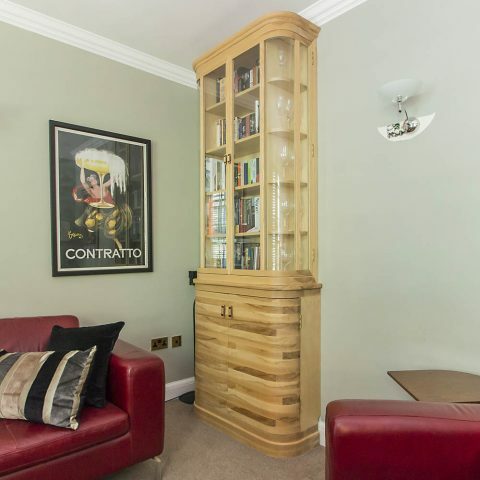 Situated in an art deco style house in Forest Hill. 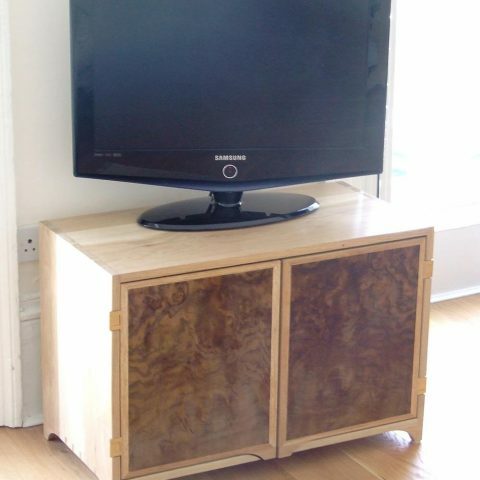 Jointed at the corners with dovetails, and with the doors veneered with burl walnut, this low cabinet was designed to contain a DVD machine and sky box.